Many students who aspire to be in the medical field start preparing for the NEET exam from as early as their class 10. However, this does not mean that it is impossible to prepare for NEET Exam in 6 Months. If you are dedicated and determined, 6 months are also sufficient to crack NEET Exam. Let us know how you can do the best preparation for the NEET exam in 6 months. Preparing for NEET exam requires a lot of planning and dedication. As the syllabus is so vast, it is recommended to follow a planned and systematic approach in covering course. Always focus more on clearing the basics of Physics, Chemistry and Biology subjects. Once you understand the concept, only then you should consider moving to the depth of the relevant topic. Apart from clearing and learning the concept, you must also get familiar with the exam pattern. For that, you must regularly take mock tests and practice MCQ tests based on Class 11 and Class 12 syllabus along with subjective mock papers for your board exam. While preparing for NEET exam during your academics, make sure not to ignore board exams as this can jeopardize your academic record, but might also make you ineligible for NEET exam. So, prepare smartly. Many students find Physics to be very tough due to the variety of theories and mathematical problems. The subject is not only about learning formulas and derivatives. You also need to know as to how to correctly apply them in a question or equation. So, make sure to have a good grip over theoretical concepts and its derivations. While Physical Chemistry is about keeping your concepts clear and implementing them by solving MCQs, Inorganic Chemistry is mainly about facts and a bit of concept. Students can make the most from this section by implementing their cramming ability. It is recommended to start your preparation for Chemistry subject from NCERT books. Once you get a clear understanding of concepts from NCERT, you can advance to other relevant books. Though you may have seen more questions being asked in past from the Plant Physiology, Human Physiology, Ecology, Cell Biology, Biotechnology, and Biotechnology, you must prepare thoroughly for all the topics. Once you have completed any topic, make sure to solve objective questions and go through previous years’ question papers of the same topic. This will help in gaining the in-depth knowledge of that particular topic. Make short notes of all important concepts and formulae. Practice a lot of questions in Physics and Chemistry. Refer to NCERT books, especially in Biology. Solve NCERT questions (subjective), NCERT – exemplar (both objective & subjective type questions). Highlight the important points, for example, plant name/animal name in NCERT for revision. Prepare thoroughly from NCERT along with introduction and summary, and make sure to understand the logic and concept behind the each and every statement. Revise the prepared topics at regular intervals. Make sure to practice and revise concepts by using diagrams in Biology. Very interesting and important topic, Nice blog. Thanks for sharing this useful content. Good job. 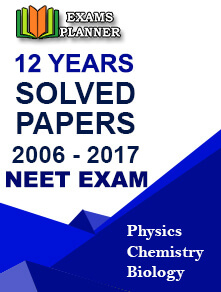 Dear sir/madam, could you kindly compile the expected questions (Physics, Chemistry & Biology) for the NEET (UG)-2019? It would benefit a lot to the aspiring student like me. Because, I am from the State Board, where the syllabus is quite different from that of the CBSE. Whereas, the NEET follows the CBSE syllabus. I would appear my final HSSLC/10+2 exams in the year 2019 by February/March. As such, I have a very short time in hand for preparation of NEET UG 2019, which is scheduled on 5th May, 2019.